I celebrated my Birthday this past Tuesday and it was filled with lots of love, food and drinks (just they way I like it). I thought I would share some fun birthday celebrating that went down so you can get a little glimpse into my life and the things I love and that make me most happy. Mikey always jokes that July is my birthday month…and I think he may be right. I kicked off the celebration last weekend with my family and friends and it has continued on since then! Mikey and I both did a sprint triathlon last weekend (his 4th, my first!) and we had a big party afterward. My Mom made an amazing birthday cake and we laughed and played games all night! The links below will give you a bit of an idea of how I have been celebrating and feeling overwhelmed by love this week! 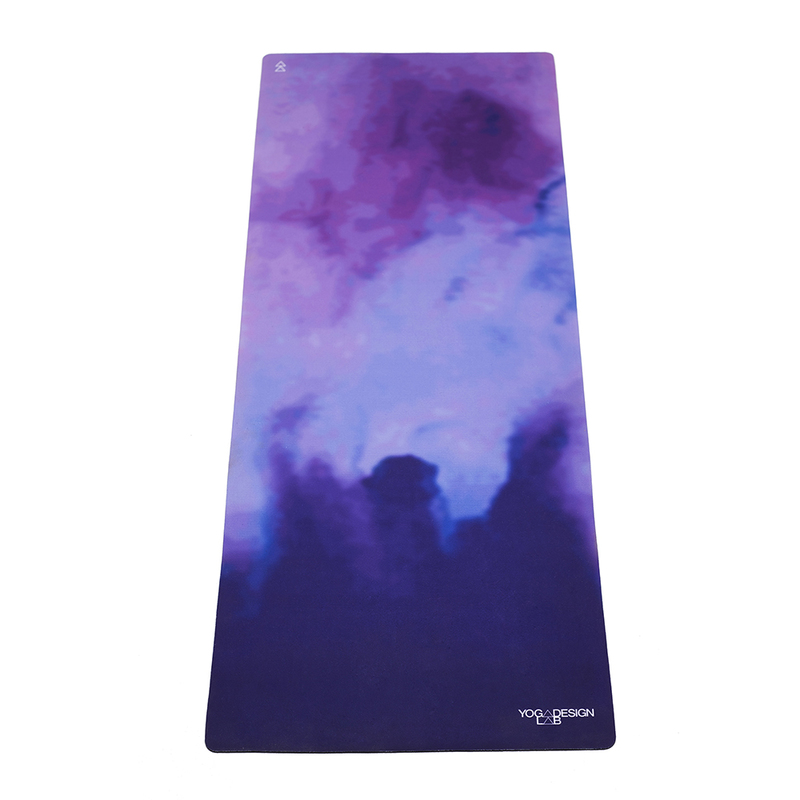 Check out this AMAZING yoga mat Mikey got me from Yoga Design Lab! I tried it out yesterday and it was great for a super sweaty hot yoga class! Mikey and I had a wonderful birthday dinner at a new restaurant here in Chicago called Cicchetti. We sipped Lemoncello to finish off our dinner and It was such a refreshing digestif! Then (I’m spoiled!) my girlfriends took me out to an amazing bday dinner at a place we love called Nightwood where we laughed over bottles of wine and Prosecco. 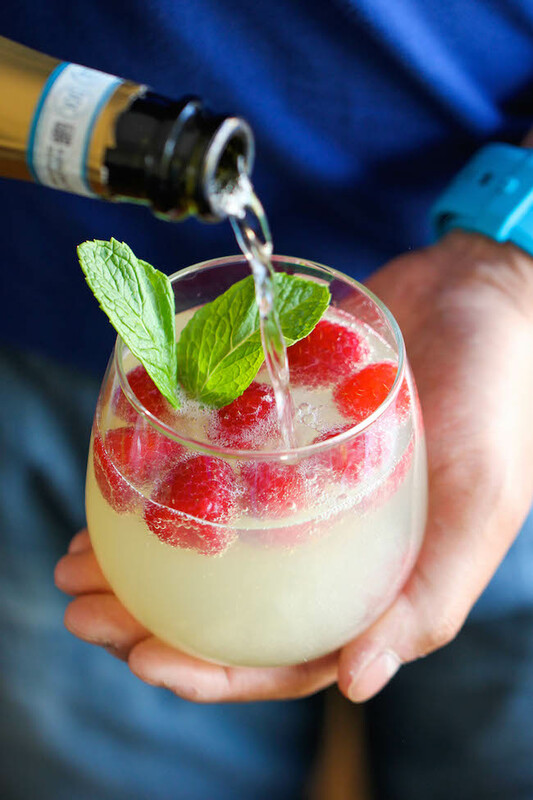 Since we are all a little obsessed with Prosecco and Mikey and I rediscovered our love for Limoncello… I thought I would share this Raspberry Limoncello Prosecco drink recipe! I also died of laughter when I opened this hilarious gift from my friend Kara. 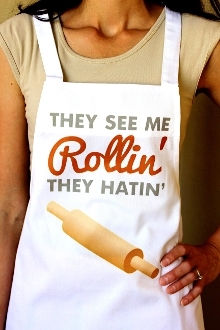 Not only is it an apron…but it has the lyrics to one of my favorite songs. When Mikey and I were first dating we listened to this song and it has become a joke in our family…such an amazing gift! I love how well my friends love me! What would a birthday be without dessert? I had my fair share of desserts over this past week (time for a detox!) but one stood out above the others! It was a Banana-Bread Bread Pudding (this is not the recipe but it was as close as I could find). I had a hard time finding a recipe that used actual banana bread, but this one seems close. I now know I need to make a version of it and share it with the world because it was so ooey gooey and out of this world! It was laced with chocolate chips and had toasted marshmallow fluff and vanilla malt ice cream…are you drooling yet? I promise to add this to my recipe list and share it with you as soon as I formulate something delicious! Mikey and I will soon be in the market for a new dining table and I received a gift card from my in-laws to West Elm. 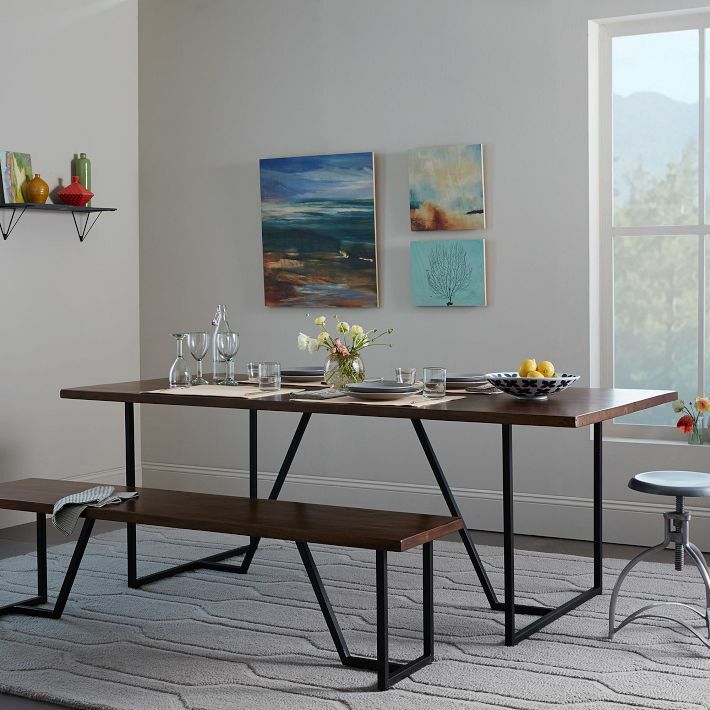 I am leaning towards something like this beautiful geometric base table. Mikey and I are headed up to a friends lake house in South Haven, Michigan for a wine tasting weekend. I am so excited to try some new wine and relax with great friends! Thank you all so much for all the birthday love! Sounds like you are having a great birthday month! 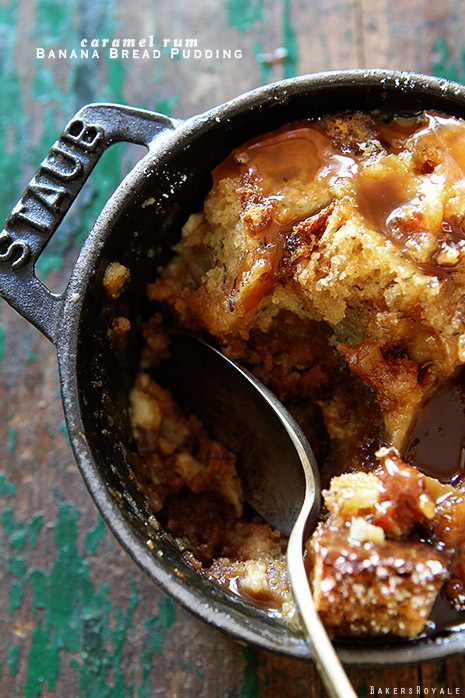 That apron is awesome and this bread pudding you speak of sounds heavenly. I live about 40 miles from South Haven, small world. Have fun wine tasting! Birthday cake for Birthday gal. God bless you! !